We are also trading and supplying Metallic Glaze Mosaics Tiles, which comes in the range of a distinctive metallic texture, rich colors and unique patterns. 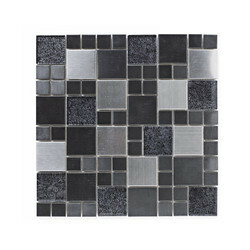 This makes our Metallic Glaze Mosaics popular in the market. Our valuable clients can avail this product from us at very reasonable price. 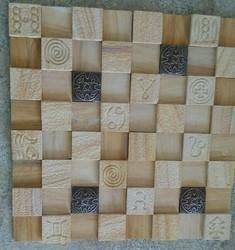 Offering SS metal mosaic tiles in combination with glasses. Metalic look for unique walls!